ExtendedValidationEVSSL.com guarantees its quality with a full replacement or refund of all products. 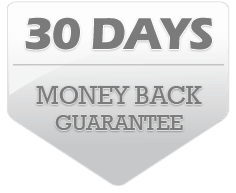 We issue a store credit or refund upon request by the account holder anytime up to 30 days after product issuance. To get a store credit or refund, the account holder should fill out our online form. Please note that while a store credit can be processed very quickly, a refund may take up to 72 hours to process.